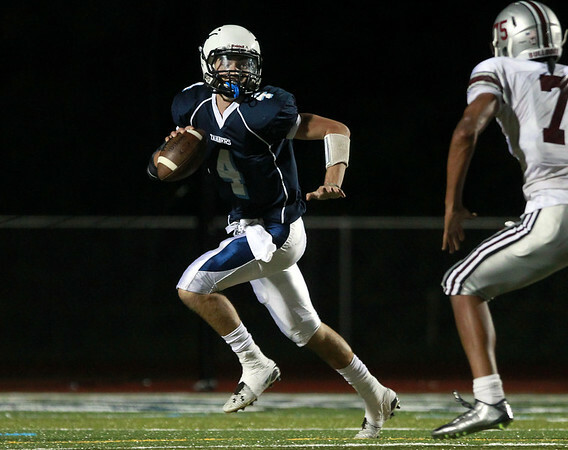 Peabody senior quarterback Mike Raymond (4) rolls out to his right against Lynn English on Friday evening. DAVID LE/Staff photo. 9/12/14.